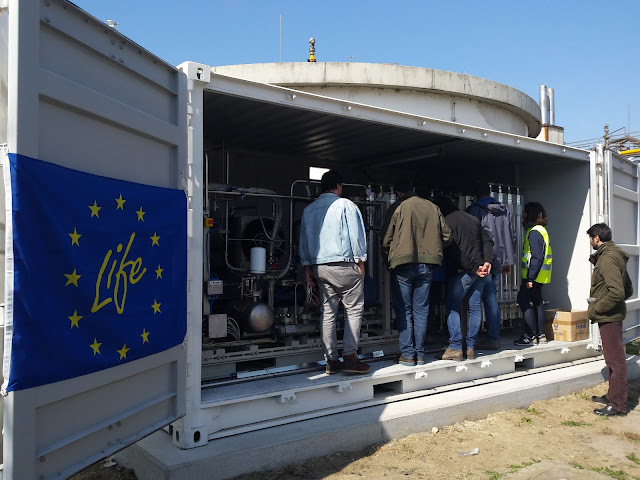 First demonstration plant of BioMethER project installed in Roncocesi! Producing biomethane from the anaerobic digestion of wastewater treatment sludge: this is the goal at the BioMethER demonstration plant in Roncocesi, Reggio Emilia, managed by IRETI. 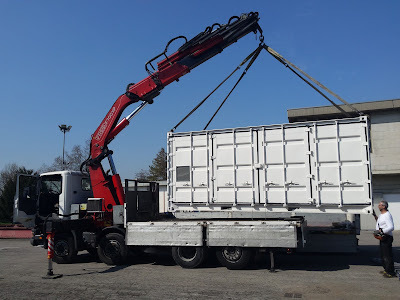 After site preparation works, the upgrading unit of the demonstrative plant of IRETI in Roncocesi has been installed and positioned on site in early march. 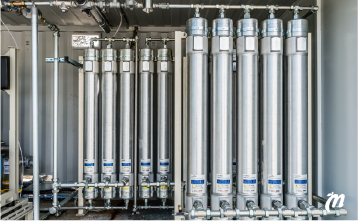 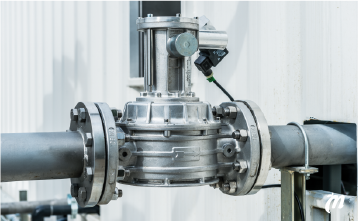 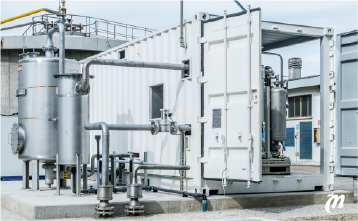 The upgrading untiIt consists of a membrane upgrading plant will remove CO2 and other undesired components from the biogas flow produced by the waste water treatment plant. 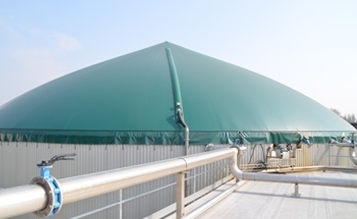 Currently, part of the biogas flow is used to cover the heat demand of the anaerobic digestion plant itself, but the exceedence is flared. 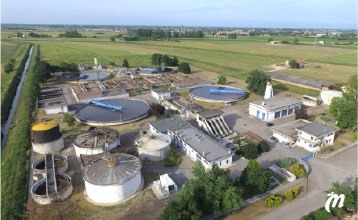 IREN's president Paolo Peveraro, is proud of this achievement which is "a step forward towards a circular approach in each of the processes in which IREN is involved". 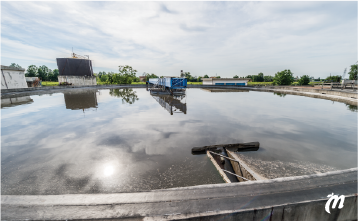 After installation, the upgrading plant at Roncocesi waste water treatment plant is now undergoing a commissioning phase. 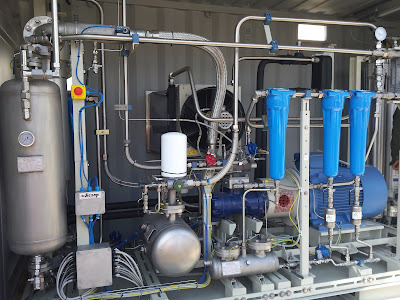 Once operational, it will produce grid-standard biomethane.